Unfortunately, Huawei has yet to find a way to crack the US market, at least officially, which means prospective buyers of the Mate 20 Pro powerhouse around these parts need to rely on imports of "international" devices and unauthorized eBay sales. Of course, the risks associated with purchasing factory unlocked, brand-new, unused, unopened, and undamaged units from a top-rated seller like Never MSRP are practically nonexistent... as long as you understand exactly what you're getting. You're obviously not eligible for a valid US warranty with this product, which will also not work on CDMA networks like Sprint and Verizon. But AT&T and T-Mobile activations should be a breeze (full 4G LTE support included), and the price is impossible to argue with. Available for 900 bucks back in November, the Huawei Mate 20 Pro is now up for grabs at $708.98 in your choice of black, "twilight", or "emerald green" paint jobs. 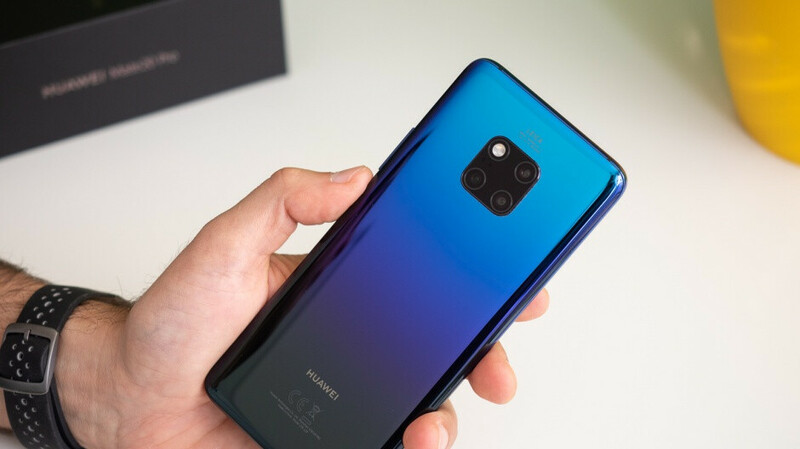 The gradient Twilight finish looks particularly stunning, perfectly complementing a super-premium set of features including everything from 3D face unlock technology to in-display fingerprint scanning capabilities, a triple rear-facing camera arrangement with a total count of 68 megapixels, a single 24MP selfie shooter, massive 4,200 mAh battery with reverse wireless charging support, powerful Kirin 980 processor, 6GB RAM, 128 gigs of internal storage space, and a beautiful 6.39-inch OLED display with 3120 x 1440 resolution. Because it's clearly not fair to compare this deal with the list price of a warranty-backed Galaxy S10 or S10+ stateside, we should probably point out this exact same eBay seller is currently charging $740 for Samsung's "regular" new flagship with a smaller 6.1-inch screen and a smaller 3,400 mAh battery, but a slightly faster Snapdragon 855 SoC and an extra 2 gigs of memory. Pretty tough choice, eh? Phone Arena is hustling pretty hard to sell this communist junk. Nice job troll, go back under your bridge because you're useless comments aren't needed here. looks like its held value well.